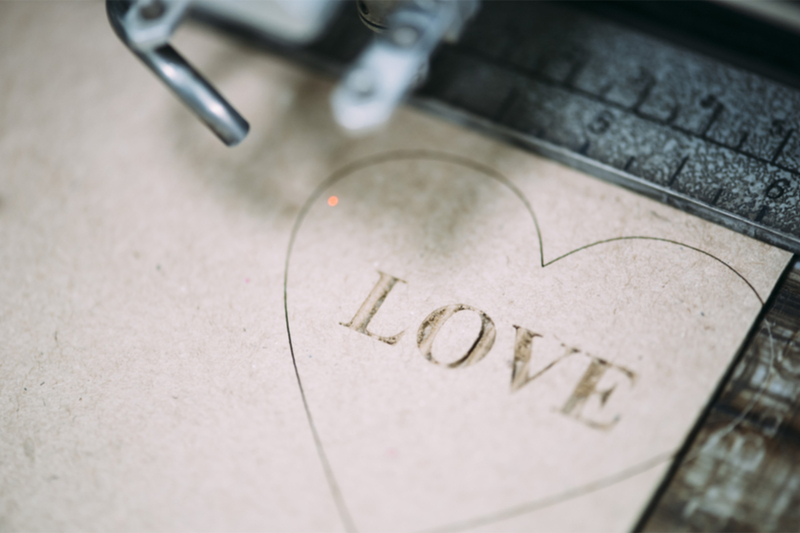 In recent years, laser cutters and engravers have become relatively affordable; it’s almost certain that your local hacker lab or create space offers a laser tool that you can play around with. Engraving photos is one of the first activities attempted by most beginner laser operators, but it is also one of the hardest to get right. It isn’t difficult to send an image to a laser machine through a graphics program like Adobe Illustrator or Inkscape, but ensuring that image is recognizable and attractive on your chosen medium can feel impossible if you don’t have much experience using lasers. Fortunately, this guide can help you laser engrave a photo perfectly the first time — or close to it. Export your photo from your graphics program to the laser printing program. In Photoshop, Illustrator, or other graphics programs, you should find export options under the File menu. Start the engraving process. Depending on the size and resolution of your engraving, it could take a few minutes or a few hours to complete your project. Because you aren’t doing the engraving — the laser is — you need only know how to give the laser the right commands. Even if you’ve never worked with a laser before, these steps should feel like performing any other action on a computer. Still, like with other computer actions, there are ways for these simple steps to go wrong. To make a perfect engraving, you need to master a few tricks, which might take some time and practice. Prepare the medium before you start engraving. By selecting the correct material in your engraver’s program, you are optimizing the power and speed of the laser. Still, laser engraving always produces smoke, which can stain the uncut edges of your engraving and produce an unattractive look. To prevent this, you can cover the engraving side of your medium in masking tape, which won’t impact the power of the laser. Choose photographs that are well-suited for engraving. A beautiful picture might look muddled and unsightly as an engraving. The key to choosing an appropriate photograph is paying attention to contrast. On one hand, there should be good contrast between the elements in your image (e.g. people or objects) and the background; on the other hand, there shouldn’t be so much contrast that you can’t see details. Make practice cuts and engraving with the laser beforehand. Using scrap medium identical to the type you’ll use for your project, you should perform a test run of your engraving. This will tell you whether you need to alter the resolution, focus the laser, enhance the power, and perform other small tweaks to the engraving process. It’s incredibly likely that you will need to make adjustments to the standard settings, but most laser material processors have helpful tutorials and guides on their websites to walk you through more advanced settings. While perfection might be elusive in other aspects of life, there is such a thing as a perfect laser engraving. If you follow the simple steps, pay attention to the fiddly tricks, and exhibit plenty of patience and diligence, you will produce the perfect engraving.